Juggling their time to raise two young children while pursuing careers as jockeys are being successfully accomplished by husband and wife, Daniel Pitomac and Kath Bell-Pitomac, from Wellington. During a memorable day at the recent Wellington TAB meeting, the Pitomacs between them rode three of the seven winners, a fitting reward for the hardworking couple. Apart from riding at race meetings each week, Daniel and Kath make early morning starts to ride trackwork at Wellington and other towns including Narromine and Mudgee. 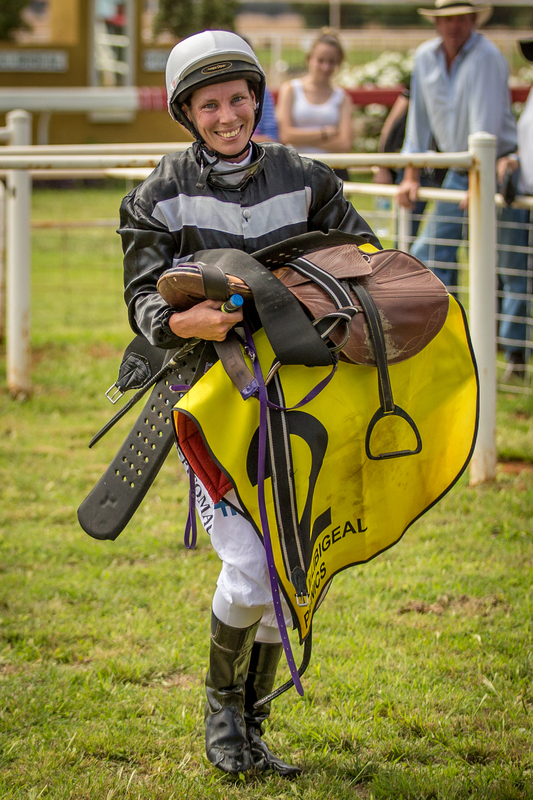 “We have a wonderful network of friends who help us out including Karen McCarroll (trainer) and Janian McMillan (racing photographer) who took the children to school when we were recently away riding at Tamworth,” Kath Bell-Pitomac explained. “Fortunately the children like horses and are happy to go to the stables of an evening when we are feeding and watering”, Kath added. The Pitomac youngsters, Caitlin (11) and Marcus (7) are also well known to racegoers as the winners of numerous awards for being the best-dressed children at race meetings. Daniel Pitomac and Kath Bell began their apprenticeships at Newcastle, Daniel with the Paul Perry stable while Kath was indentured to Terry Drayton. Kath Bell won a Newcastle apprentices' premiership while Daniel also began duties as a travelling foreman for the Perry stable to major meetings including those in Melbourne. For several years they travelled different paths, living in different towns and cities with Kath suffering injuries from race falls and withdrawing from race riding. Eventually, they met again in Newcastle and Daniel then continued his apprenticeship with Jim McMillan at Wellington, while Kath stayed behind with the children. When the opportunity arose, Kath, Caitlin and Marcus joined Daniel in Wellington and Kath began riding trackwork before a stint as a jockey on the picnic circuit where she rode about 16 winners including Cup wins in the north-west on Dungiven and the Cootamundra Picnic Cup on Dream on Stan. 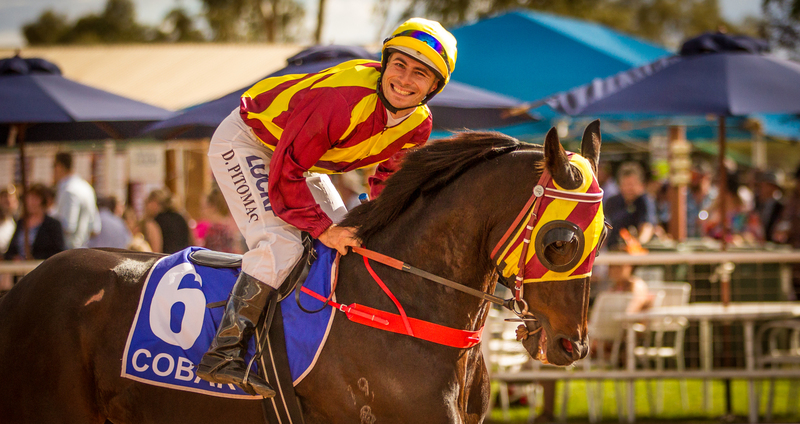 Recently, Kath Bell-Pitomac returned to the professional ranks as an apprentice with Michael Mulholland at Wellington, and at Dubbo won a heat the Racing NSW Rising Star Series for apprentices on the Gayna Williams-trained Skin Deep. Surprisingly, Kath rates as one of her biggest thrills a win in a minor race at Crookwell picnics on the Terry Fulwood, Narromine-trained Anglebury. At a Trangie meeting, Anglebury twice threw itself down on the way to the barriers and was barred from racing. Travelling to Narromine to ride Anglebury trackwork, Kath aimed to try and gain the confidence of the horse. “To form a bond with Anglebury and then win a race was very satisfying”, Kath explained. Meanwhile, Daniel Pitomac was sidelined several times with injuries, however, rode a great race to win the 2400m Golden Fleece at Warren, bringing the Michael Mulholland-trained Lucky Elixir ($31) from behind the leaders with a rails-hugging ride to beat Tips and Beers and Husonique. On their special day at Wellington, Daniel won on Butter Toast ($15) for Michael Mulholland and on the Jim McMillan-trained Harry New Shoes ($6) while Kath was the winning rider on the Michael Mulholland-trained Demonize ($10). Punters who followed the Pitomacs had a bonanza as apart from the winners, Kath was placed on Opera Dude ($13), SkinDeep ($1.80 favourite) and Little May ($51), while Daniel was placed on Gottakeepthefaith ($91). “The only reason Daniel and I can combine our jockey careers and raising our children is because of the overwhelming support we receive from friends, jockeys, trainers and others in the racing industry,” said Kath Bell-Pitomac.